Archer, David. Global Warming: Understanding the Forecast. Malden, MA: Blackwell, 2007. Archer, David, and Stefan Rahmstorf. The Climate Crisis: An Introductory Guide to Climate Change. Cambridge, MA: Cambridge University Press, 2010. Berry, Wendell. Bringing It to the Table: On Farming and Food. Berkeley, CA: Counterpoint, 2009. Bingham, Sally G., ed. Love God, Heal Earth. Pittsburgh: St. Lynn’s Press, 2009. Birch, Charles, and Lukas Vischer. Living with the Animals: The Community of God’s Creatures. Geneva: WCC Publications, 1997. Brown, William P. The Seven Pillars of Creation: The Bible, Science, and the Ecology of Wonder. New York: Oxford University Press, 2010. Carson, Rachel. Silent Spring. Boston: Houghton Mifflin, 1962. Cohen-Kiener, Andrea. 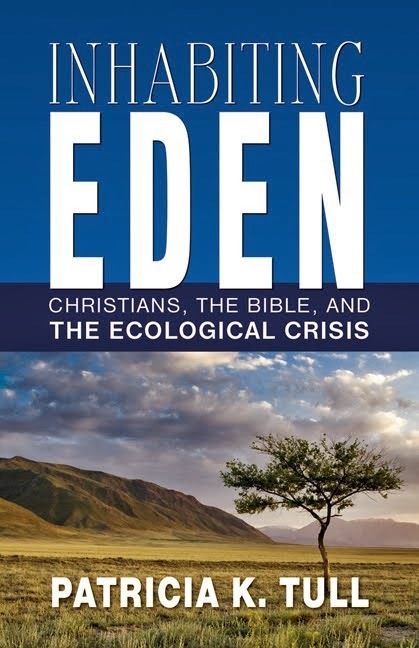 Claiming Earth as Common Ground: The Ecological Crisis through the Lens of Faith. Woodstock, VT: Skylight Paths Publishing, 2009. Davis, Ellen. Scripture, Culture, and Agriculture: An Agrarian Reading of the Bible. Cambridge, MA: Cambridge University Press, 2009. De Graaf, John, David Wann, and Thomas H. Naylor. Affluenza: The All-Consuming Epidemic. 2nd ed. San Francisco: Berrett-Koehler Publishers, 2005. Dessler, Andrew, and Edward A. Parson. The Science and Politics of Global Climate Change: A Guide to the Debate. 2nd ed. Cambridge, MA: Cambridge University Press, 2010. Flannery, Tim. The Weather Makers: How Man Is Changing the Climate and What It Means for Life on Earth. New York: Grove Press, 2005. Goodenough, Ursula. The Sacred Depths of Nature. Oxford: Oxford University Press, 2000. Hessel, Dieter, and Larry Rasmussen. Earth Habitat: Eco-Injustice and the Church’s Response. Minneapolis: Fortress Press, 2001. Holmes, Hannah. Suburban Safari: A Year on the Lawn. New York: Bloomsbury Publishing, 2005. Hosenfeld, Charlene, Ecofaith: Creating and Sustaining Green Congregations. Cleveland: Pilgrim Press, 2009. Jackson, Wes. Becoming Native to This Place. Washington DC: Counterpoint, 1996. Kaplan, Jeffrey. “The Gospel of Consumption.” Orion Magazine (May–June 2008). Kavanaugh, John F. Following Christ in a Consumer Society. 25th anniversary ed. Maryknoll, NY: Orbis Books, 2006. Leonard, Annie. The Story of Stuff: How Our Obsession with Stuff Is Trashing the Planet, Our Communities, and Our Health—and a Vision for Change. New York: Free Press, 2010. Leopold, Aldo. A Sand County Almanac, with Essays on Conservation from Round River. New York: Ballantine, 1970. Lerner, Steve. Sacrifice Zones: The Front Lines of Toxic Chemical Exposure in the United States Cambridge, MA: MIT Press, 2010. Lovins, L. Hunter, and Boyd Cohen. Climate Capitalism: Capitalism in the Age of Climate Change. New York: Hill & Wang, 2011. Moseley, Lyndsay, ed. Holy Ground: A Gathering of Voices on Caring for Creation. San Francisco: Sierra Club Books, 2008. O’Brien, Stacey. Wesley the Owl: The Remarkable Love Story of an Owl and His Girl. New York: Free Press, 2009. Oreskes, Naomi, and Eric M. Conway. Merchants of Doubt: How a Handful of Scientists Obscured the Truth on Issues from Tobacco Smoke to Global Warming. New York: Bloomsbury, 2010. Page, Ruth. God and the Web of Creation. London: SCM Press, 1996. Pinches, Charles, and Jay B. McDaniel, eds. Good News for Animals? Christian Approaches to Animal Well-Being. Maryknoll, NY: Orbis, 1993. Pollan, Michael. Food Rules: An Eater’s Manual. London: Penguin Books, 2009. ———. The Omnivore’s Dilemma: A History of Four Meals. New York: Penguin, 2007. Schlosser, Eric. Fast Food Nation: The Dark Side of the All-American Meal. Boston: Houghton Mifflin, 2001. Scully, Matthew. Dominion: The Power of Man, the Suffering of Animals, and the Call to Mercy. New York: St. Martin’s Press, 2002. Shrader-Frechette, Kristin. Taking Action, Saving Lives: Our Duties to Protect Environmental and Public Health. Oxford: Oxford University Press, 2007. Steingraber, Sandra. Living Downstream: An Ecologist’s Personal Investigation of Cancer and the Environment. 2nd ed. Cambridge, MA: Da Capo Press, 2010. The Union of Concerned Scientists. Cooler Smarter: Practical Steps for Low-Carbon Living. Washington, DC: Island Press, 2012. Wennberg, Robert N. God, Humans, and Animals: An Invitation to Enlarge our Moral Universe. Grand Rapids: Wm. B. Eerdmans, 2003. Wilson, E. O. The Creation: An Appeal to Save Life on Earth. New York: Norton & Co., 2006. Wirzba, Norman, ed. The Essential Agrarian Reader: The Future of Culture, Community, and the Land. Washington DC: Shoemaker & Hoard, 2004.